Dorine Violet Strait age 83, of Ithaca, MI, passed away Wednesday, January 30, 2019, at the Evangelical Home in Saline, MI. 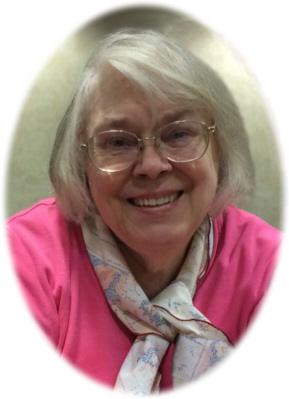 Funeral Services will be held at Ithaca Wesleyan Church, Ithaca, MI, on Sunday, February 3, 2019 at 3:00 P.M. with her son Pastor Doug Strait officiating. Burial will take place at Hart Cemetery, Hart, MI at a later date. Visitation will be held on Saturday, February 2, 2019 from 4-8 P.M. at Smith Family Funeral Homes, Ithaca, MI, and on Sunday for one hour prior to the service at the church. Dorine was born in Muskegon, MI on October 20, 1935, the daughter of Elsworth and Violet (Barhitte) Greene. Dorine graduated from Muskegon High School with the class of 1953. Dorine married Leonard Strait on October 30, 1953 in Muskegon, MI. Leonard preceded her in death on December 31, 2015 after 62 years of marriage. Growing up, Dorine was very active in the Salvation Army. She loved athletics and was part of the Junior Lassies during WWII. Dorine was dedicated to her family and was passionate that each one was serving the Lord. Dorine's only true passion in life was serving The Lord. She was a lifelong pastor's wife. Together, they pastored in The Wesleyan Church in Michigan, Indiana and Iowa for 50 years. Dorine is survived by 5 children: Leonard (Crystal) Strait Jr. of Chesaning, MI; Christine (Terry) Jones of Granger, IN; Diana (Paul) Stanton of Fishers, IN; Barbara (James) Schenck of Tecumseh, MI; Douglas (Brenda) Strait of Ithaca, MI; 15 grandchildren: Stephanie (James) Box, David (Jamie) Wilhelm, Rachael Wilhelm, Daniel (Emily) Wilhelm, Scott Strait, Kasey (Barton) Price, Valerie (Justin) Detwiller, Jeff (Jan) Jones, Ben Jones, Katie (Nate) Smith, Kelsey (Graham) Smith, J. Wesley Schenck, Emily Strait, Brianna (Sam) Richardson, and Taylor (Jeremy) Schorn; 10 great-grandchildren, and sister Arlene Wakefield, of Muskegon, MI. Dorine was preceded in death by her parents, husband, and brother Rex Greene. Memorials may be made to Ithaca Wesleyan Church 712 N. Pine River St. Ithaca, MI 48847. Online condolences may be left at www.smithfamilyfuneralhomes.com. The family is being served by Smith Family Funeral Homes, Ithaca, MI.